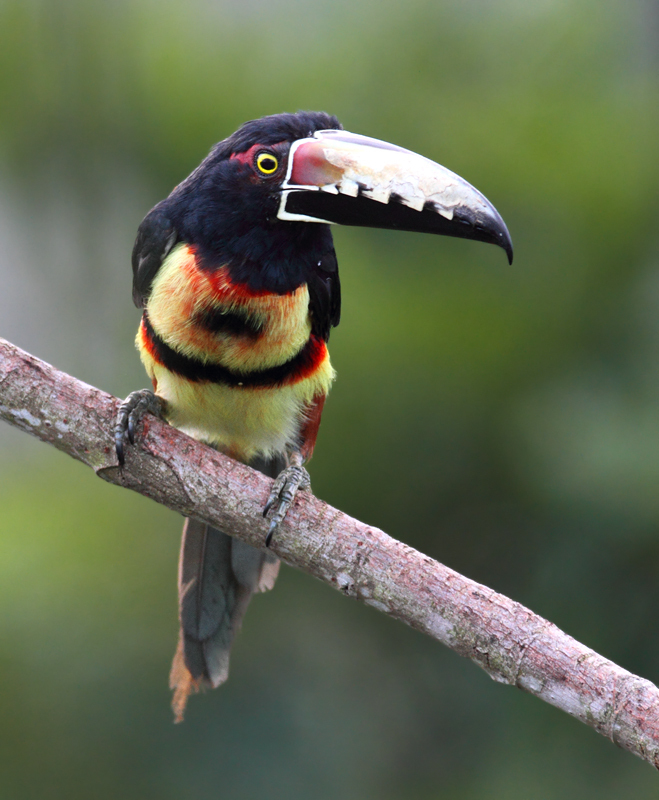 Above and below: Collared Aracaris were wonderfully common throughout our trip. 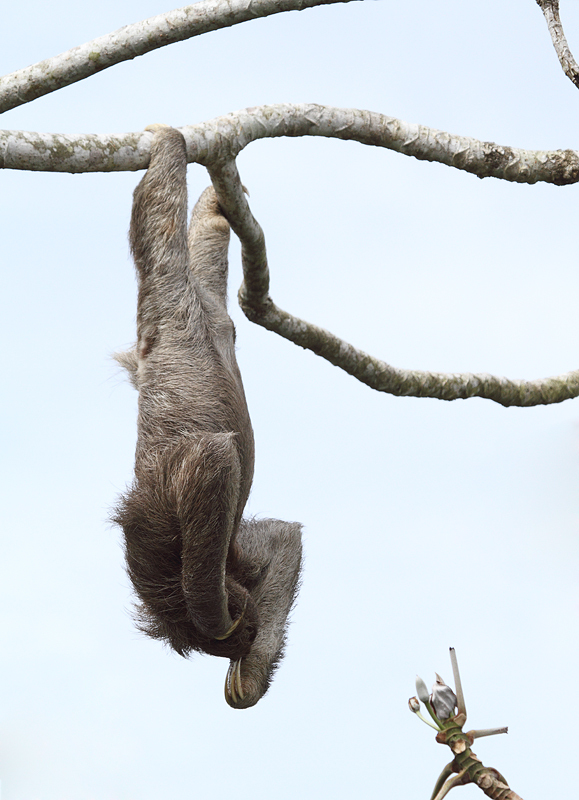 You'll see more of these guys as I post updates. 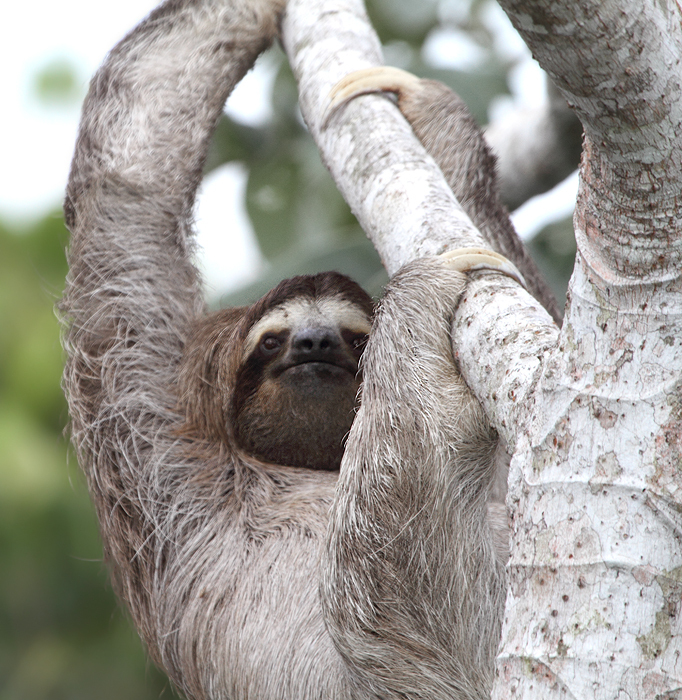 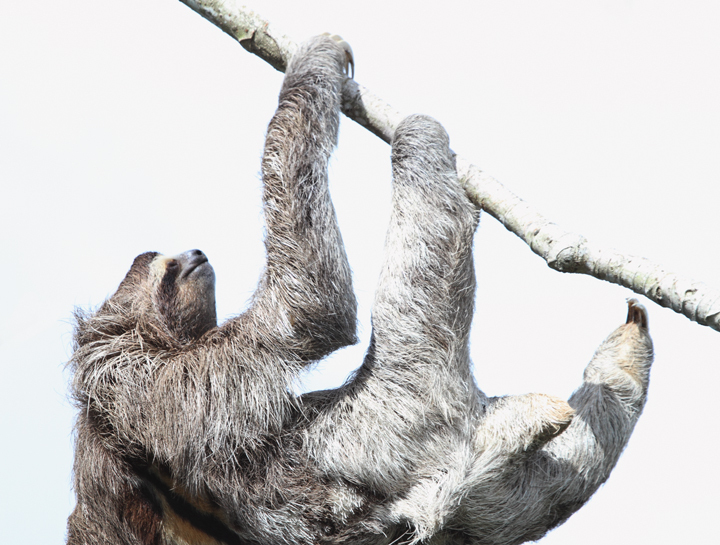 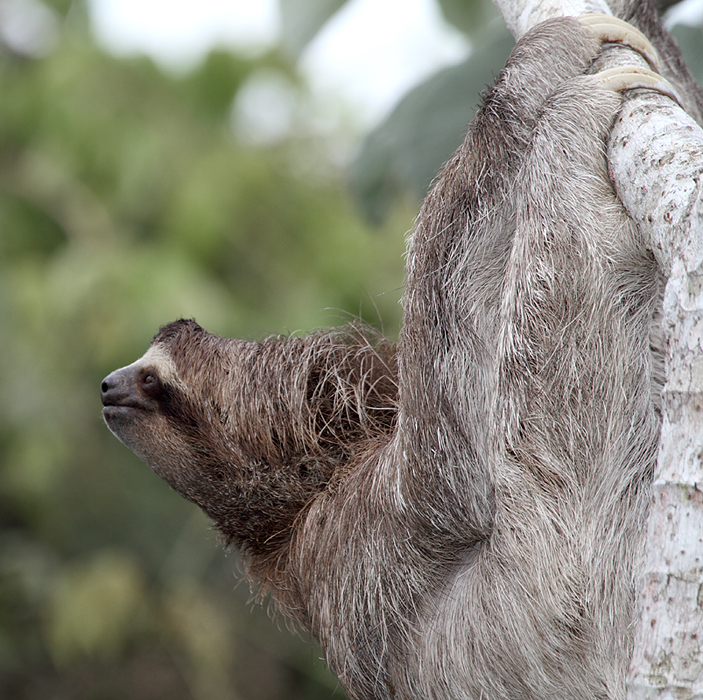 Below: A Brown-throated Three-toed Sloth lounging around at Canopy Tower, Panama (July 2010). 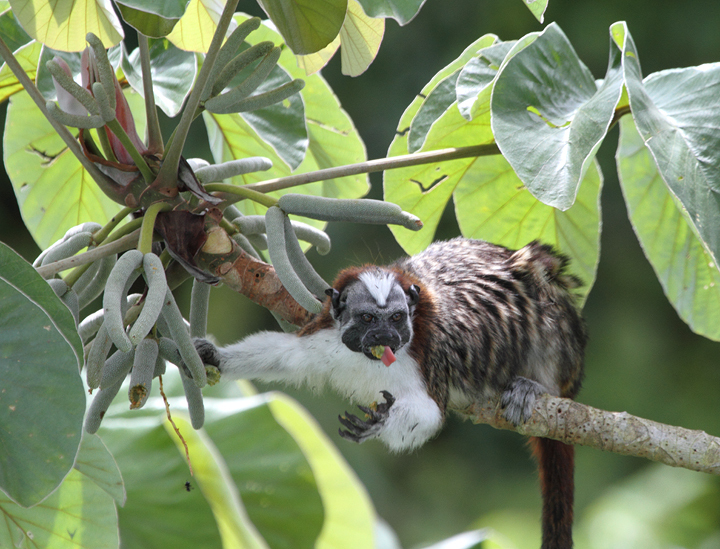 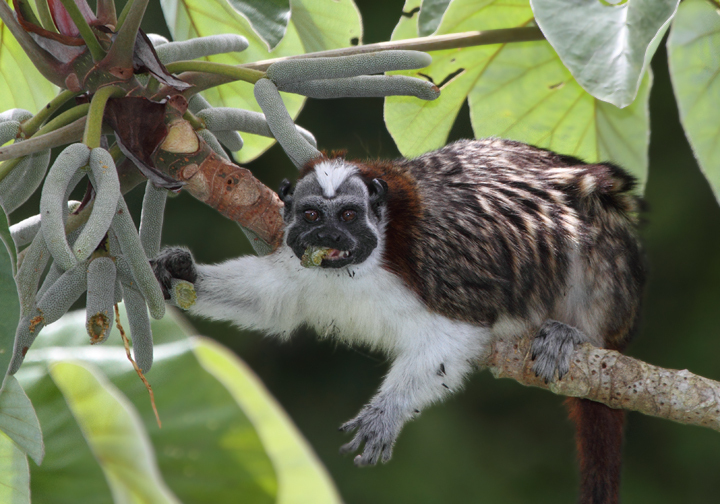 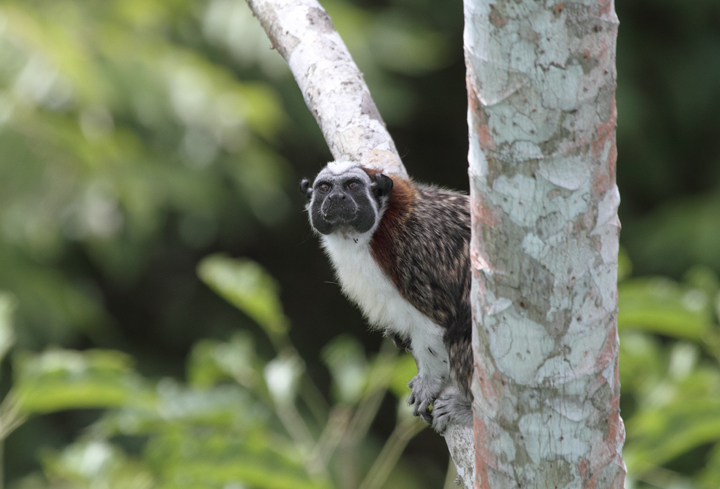 Below: A Geoffroy's Tamarin hanging out and feeding on cecropia fruit (Panama, July 2010). 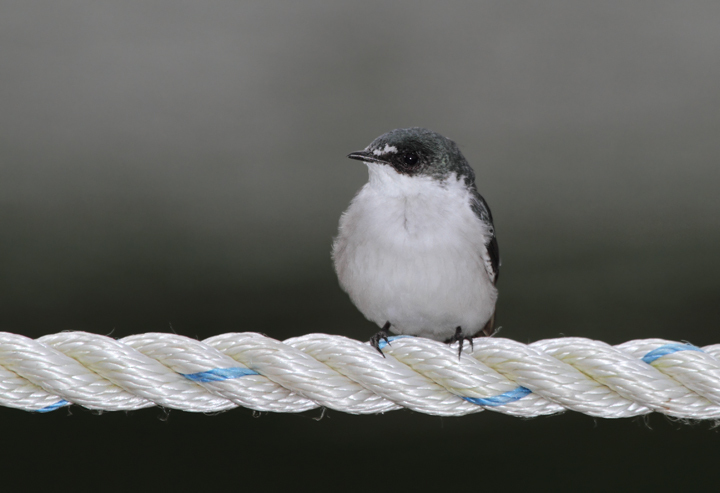 Below: A Mangrove Swallow resting along the Rio Chagres, Panama (July 2010). 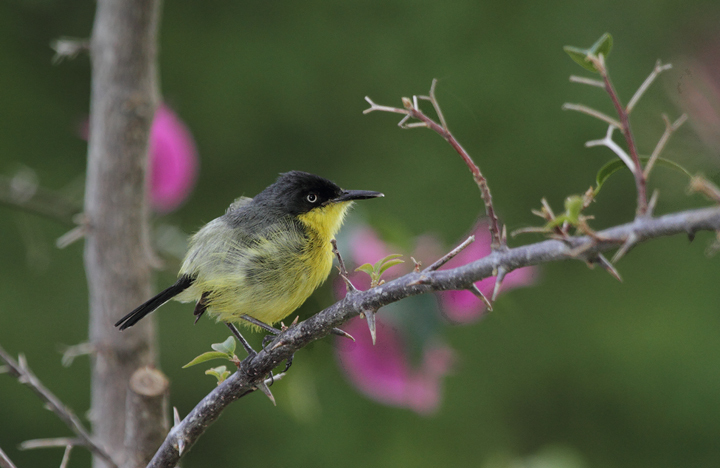 Below: A Common Tody-Flycatcher nesting near the Rio Chagres, Panama (July 2010). 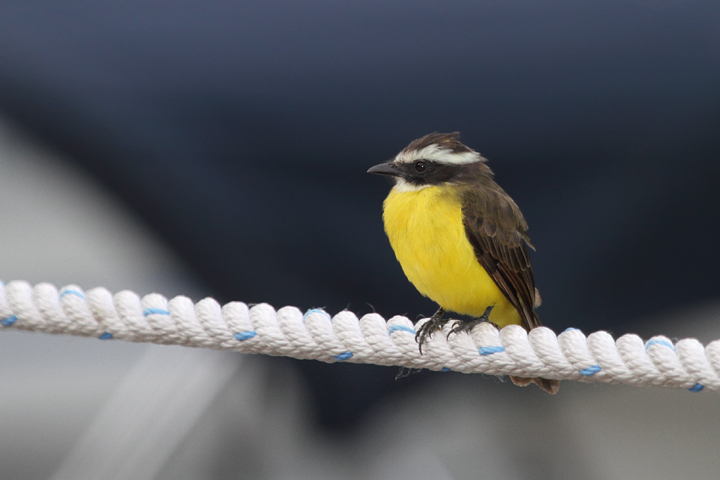 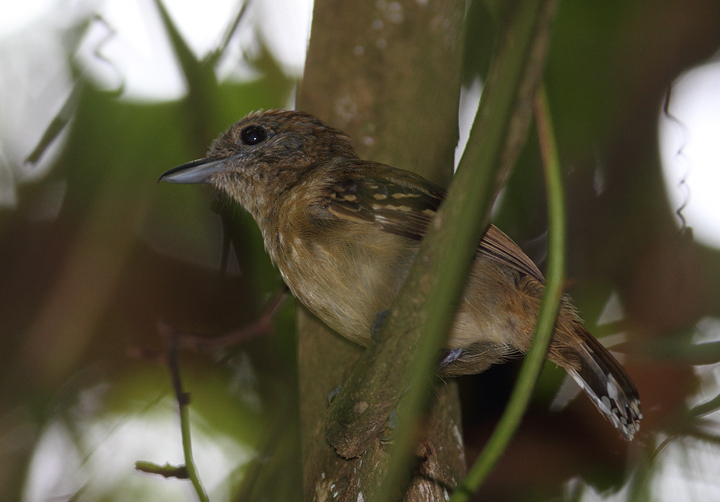 Below: A Rusty-margined Flycatcher hunting along the Rio Chagres, Panama (July 2010). 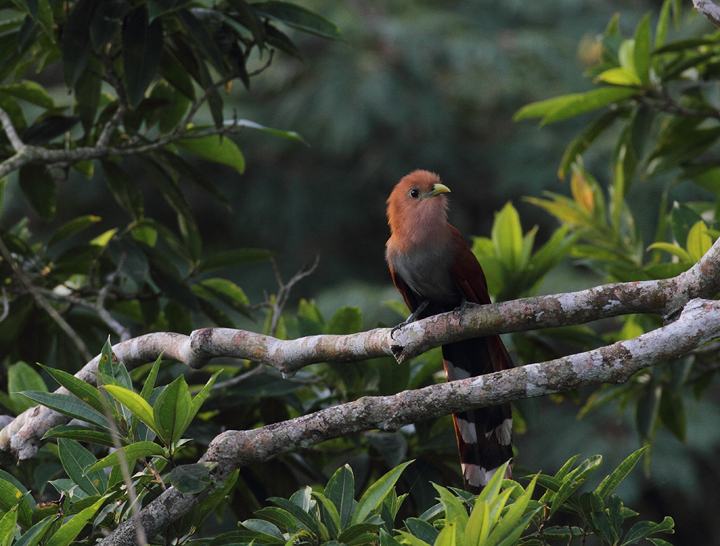 Below: A Squirrel Cuckoo spotted just after dawn - Canopy Tower, Panama (July 2010). 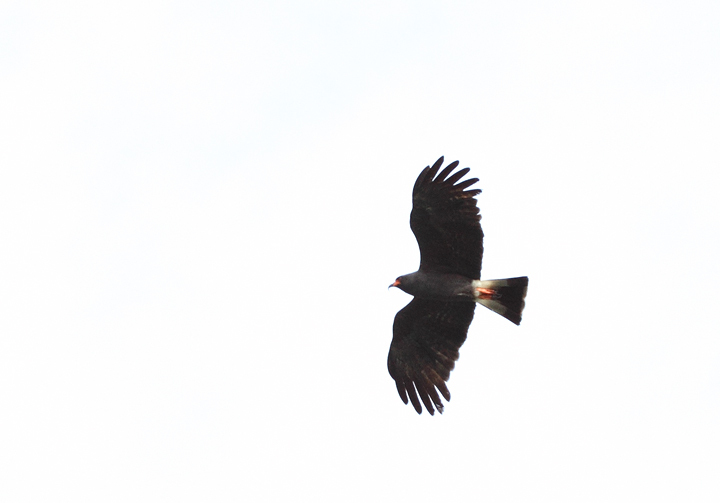 Below: An adult Snail Kite over the Rio Chagres, Panama (July 2010). 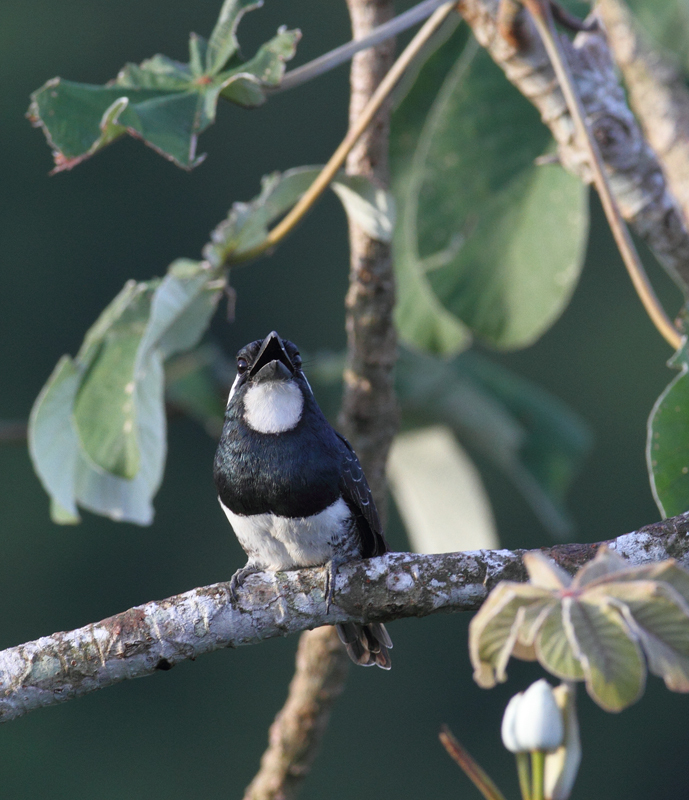 Below: A Black-breasted Puffbird singing after dawn at the Canopy Tower, Panama (July 2010). 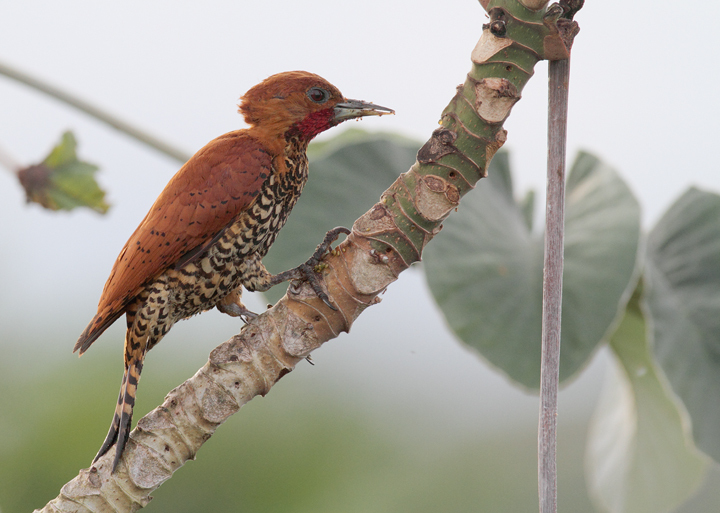 Below: A Cinnamon Woodpecker forages in a cecropia at dawn. 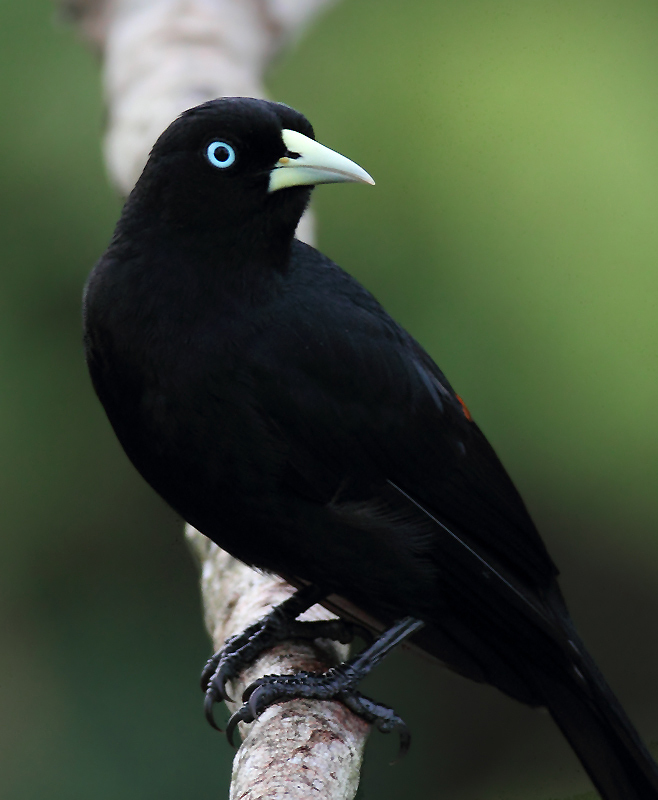 The field guide illustrations simply don't do these guys justice. 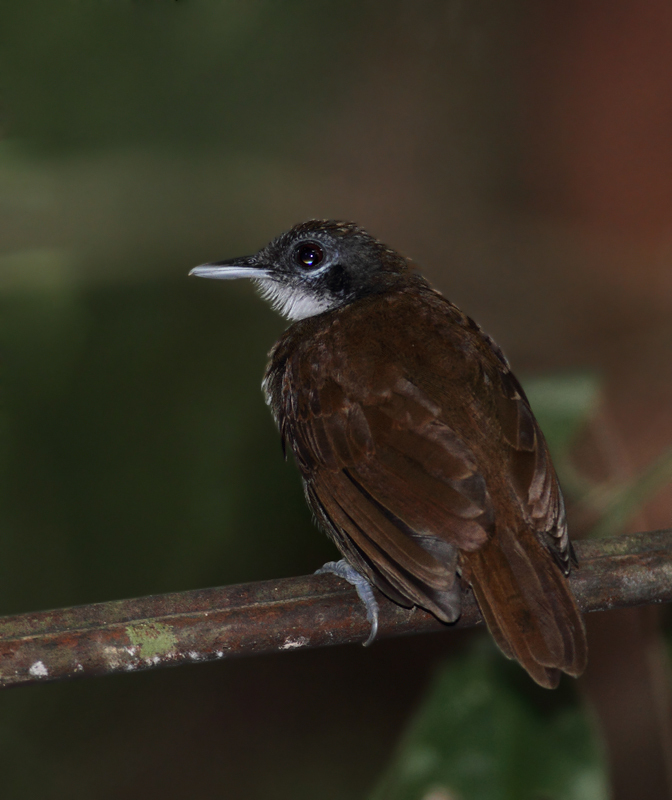 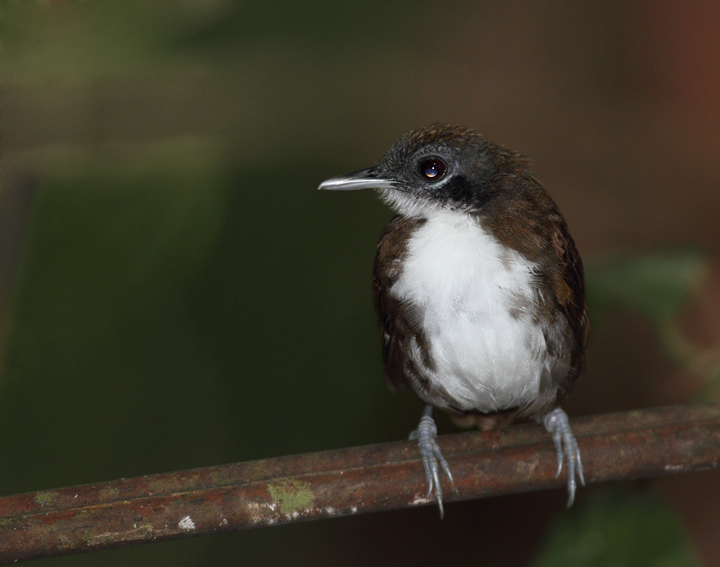 Below: A Bicolored Antbird poses for us on Day One. 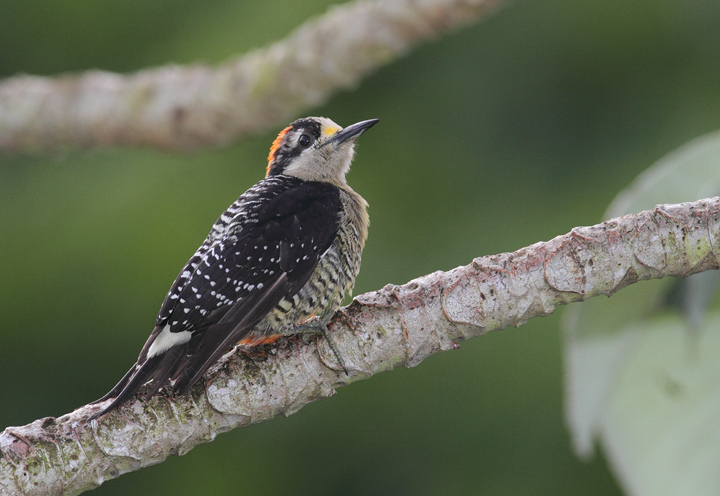 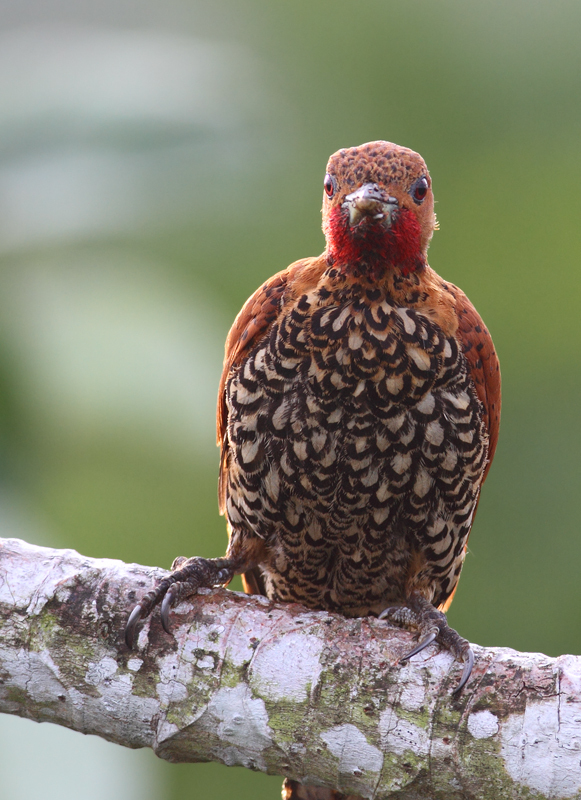 Below: A Black-cheeked Woodpecker, a rainforest cousin of our Red-bellied Woodpecker (Panama, July 2010). 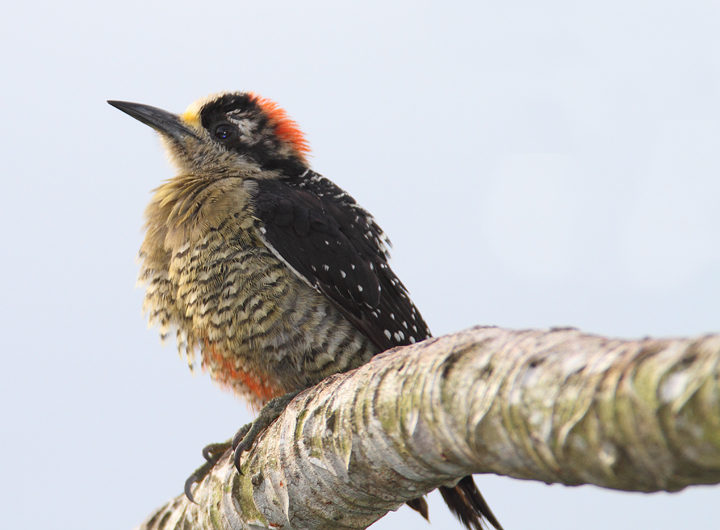 The lowland-favoring Red-crowned Woodpecker is very similar to Red-bellied. 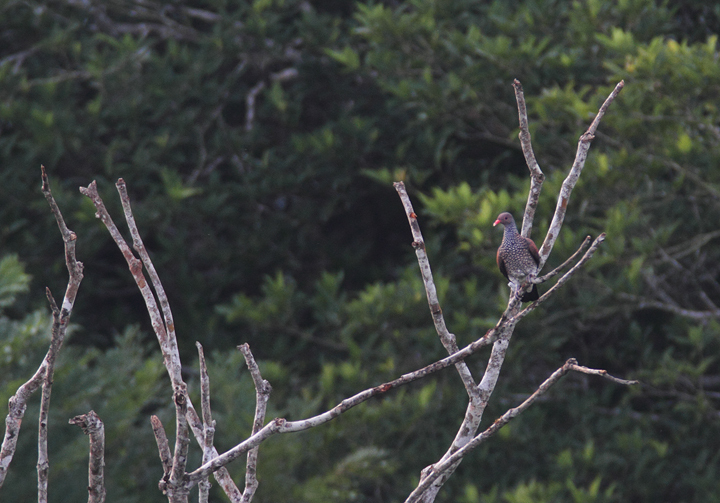 Below: A distant Scaled Pigeon, a stunning rainforest species that is heard more often than it is seen. 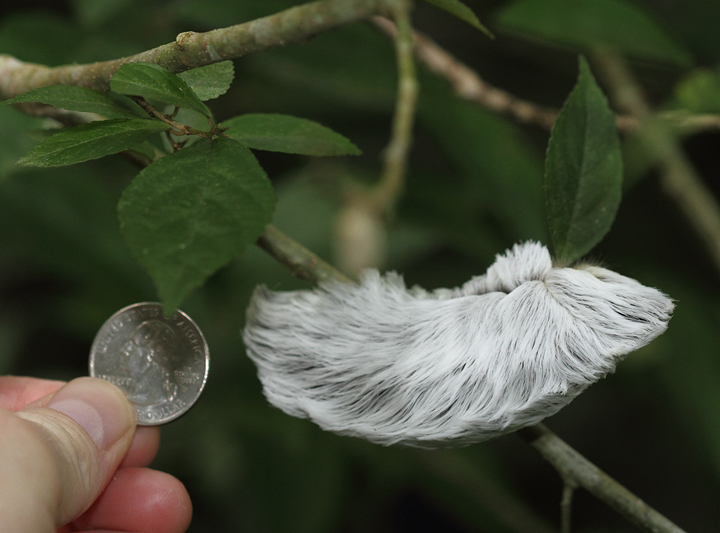 Below: A very large caterpillar in the rainforest near Canopy Tower, Panama (July 2010). 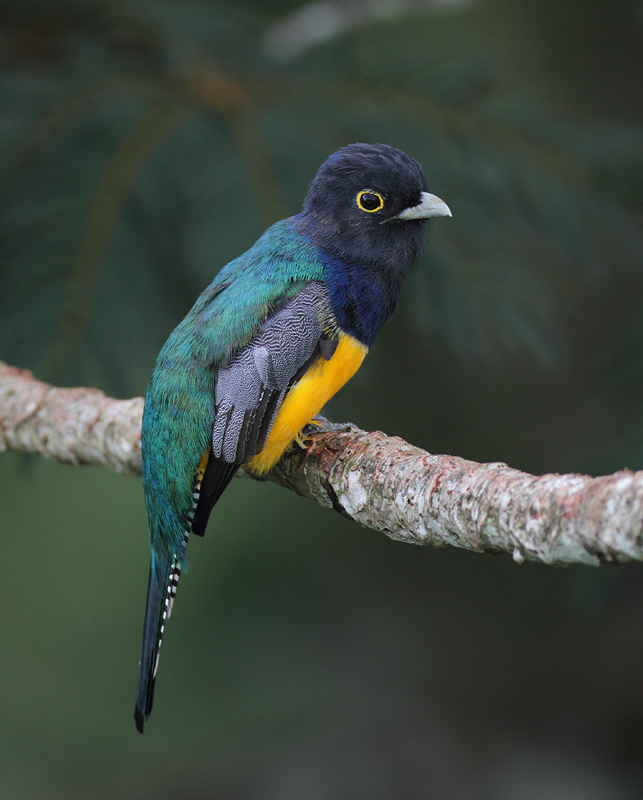 Below: A cooperative male Gartered Trogon (split from Violaceous Trogon) in central Panama (July 2010). 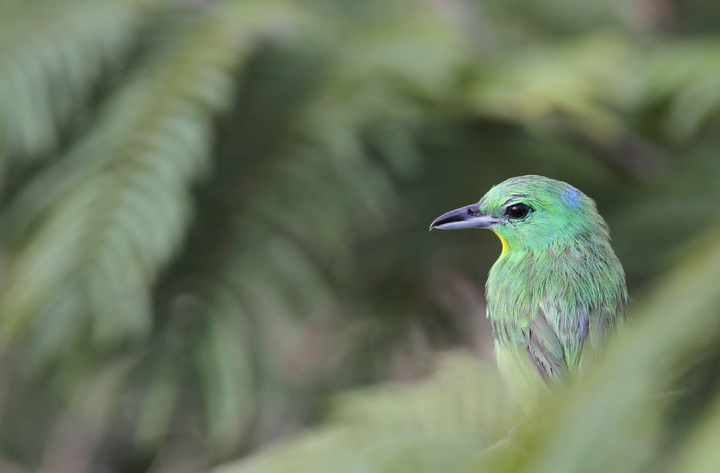 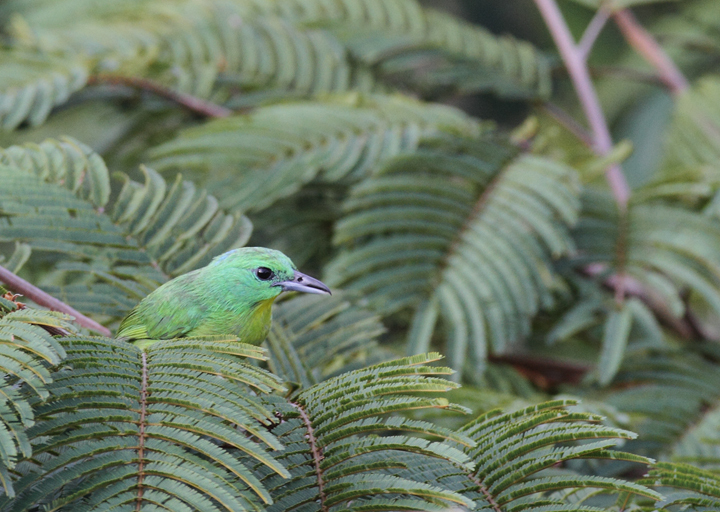 Below: A gorgeous Green Shrike-Vireo permits a rare glance and brief photo shoot (Panama, July 2010). 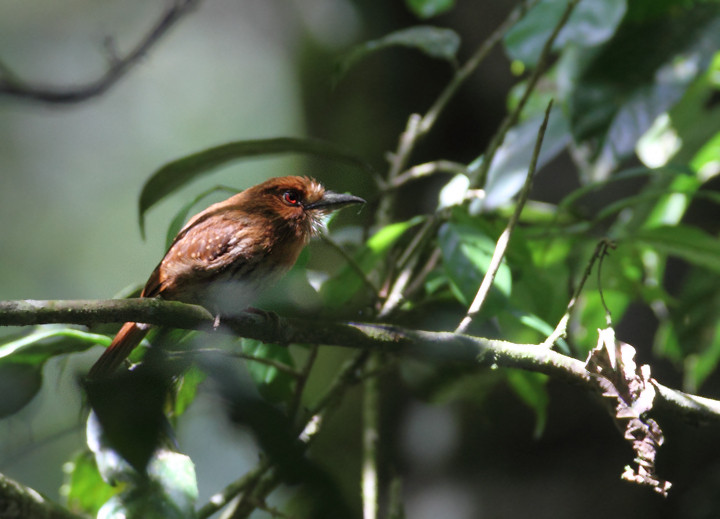 Below: A distant White-whiskered Puffbird (Panama, July 2010). 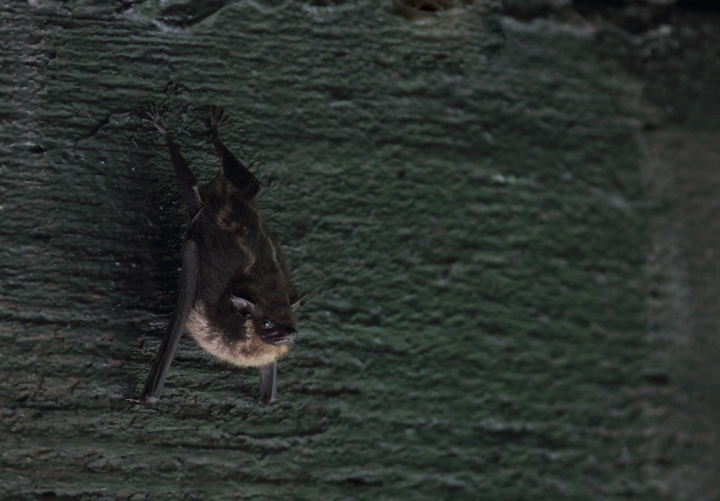 Below: A White-lined Bat (presumed Greater) roosting under a bridge in central Panama (July 2010). 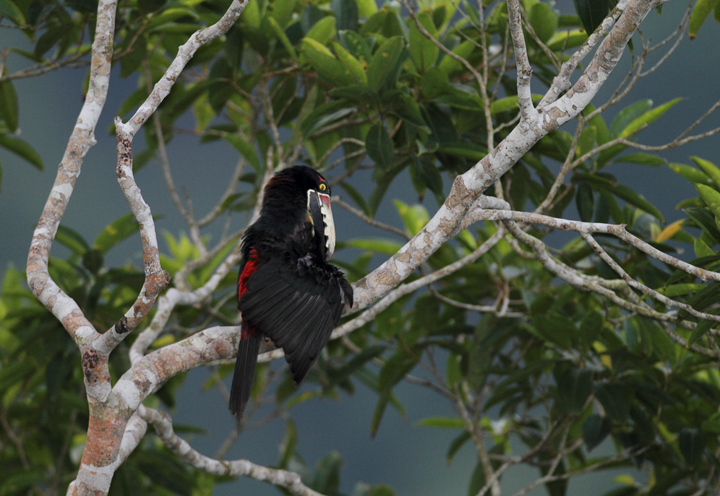 Below: A Scarlet-rumped Cacique poses at the Canopy Tower, Panama (July 2010). 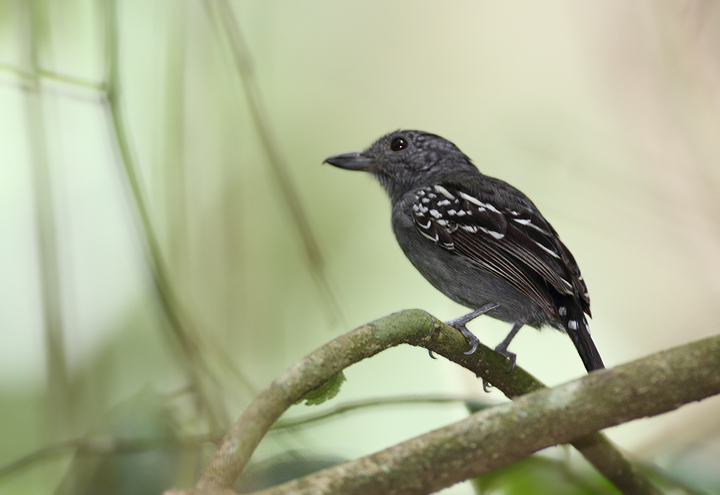 Below: Western Slaty-Antshrikes were a common rainforest species in central Panama. 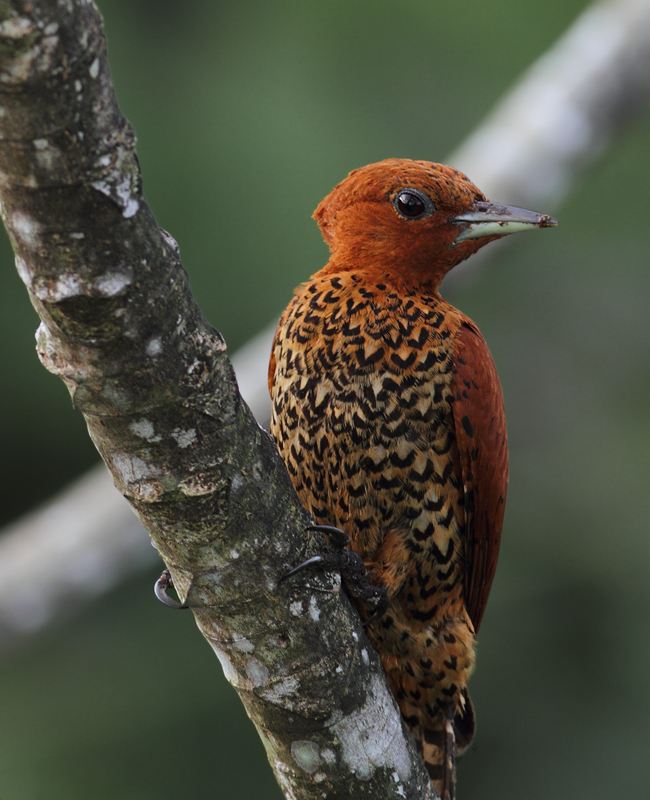 Their call, reminiscent of a car trying to start and finally catching, was one of the main sounds of the forests we visited (Panama, July 2010). 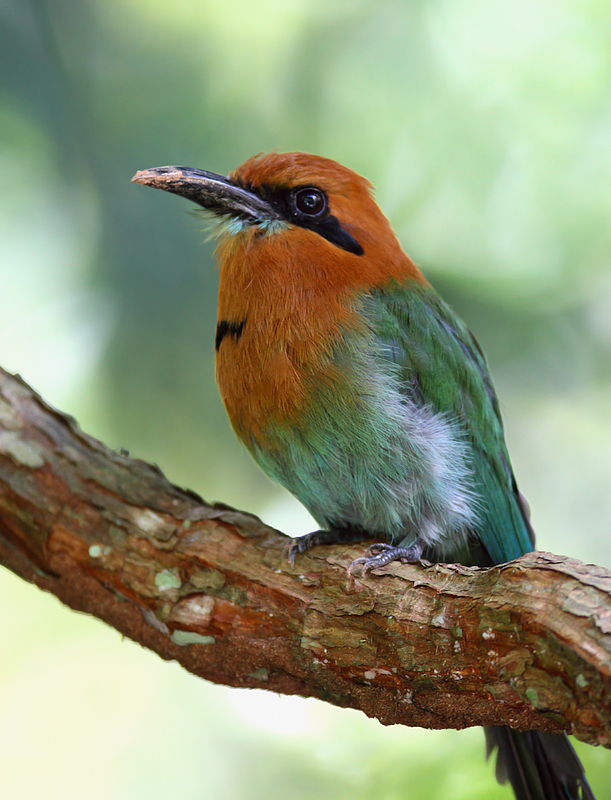 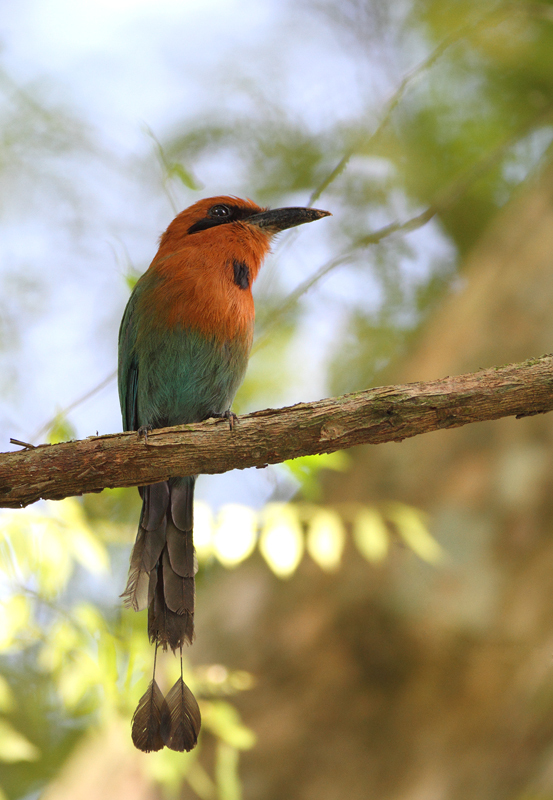 Below: A Broad-billed Motmot waits for the perfect flyby insect. 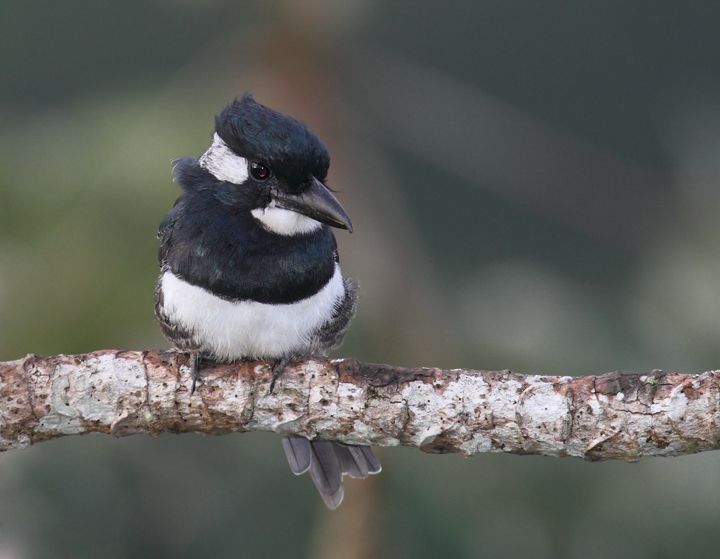 The dirt on its bill might be from excavating a nest cavity, as this species nests in burrows in the sides of forested hills (Panama, July 2010).